Wireless networks are powerful tools for boosting productivity and encouraging information sharing. A wireless network is inherently more accessible than a wired network (such as Ethernet) because it is not a closed system; Data travels through the air. But that accessibility can constrain efficiency when those using that network, and all connected devices operate on the same single channel. With tens of hundreds of people on a channel, and all their data transmitting back and forth, bandwidth allocation quickly diminishes. In order to achieve globally optimal system performance, a scheduling system is required to properly identify the users that are allowed to transmit and their corresponding transmission power level requirements. Algorithms can help provide a macroscopic view into the intricate behavior of network systems, and lead to the development of scheduling solutions. But for a really deep and complete view, a homogenized approach is proving effective. 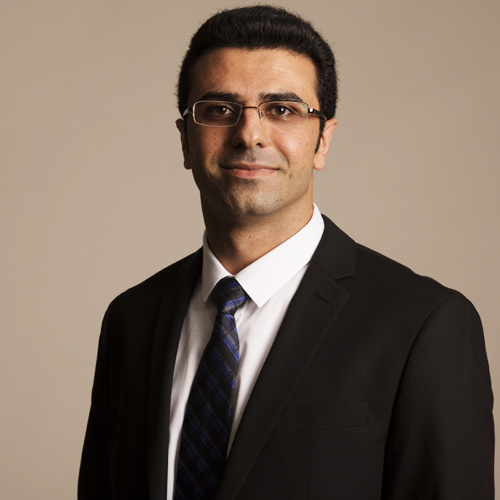 “Given the diversity of complex networks, I have used a mixed set of mathematical tools from control, optimization, algorithms, stochastic systems, and information theory to study current problems in these networks,” says Javad Ghaderi, assistant professor of electrical engineering. Doing so, he has developed solutions that make networks more efficient and secure, and new models for predicting how opinions spread throughout social networks. Ghaderi’s research interest in network algorithms, network control and optimization, and network information theory is driven by emerging wireless networks and modern Internet services, such as online social networks and cloud computing. “We are living in the big data era, where huge amounts of data need to be analyzed in quasi real-time in the cloud data centers. I am working on developing efficient networking solutions to handle the amount of data and computation involved in big data applications,” he says. His research has the potential to impact the IT industry by improving the scalability and cost efficiency of the cloud network architecture and to enhance society by reducing the electricity usage of cloud data centers in order to mitigate greenhouse gas emissions. Prior to joining Columbia Engineering in the summer of 2014, Ghaderi was a Simons Postdoctoral Fellow at the University of Texas at Austin and is the recipient of the Mac Van Valkenburg Graduate Research Award at University of Illinois at Urbana-Champaign. At Columbia, he also is an affiliated member of the Data Science Institute’s Foundations of Data Science.